This is really a catch entry for all instances of the grey Henleys that Dean wears - I fully believe he owns more than just one. The only instance of a visible difference: in Croatoan (2x09) the Henley has a much longer neck than usual. In Provenance (1x19), Dean wears one from the beginning of the episode until they burn the painting. When he is in the motel room, he tends to take off his outer layers, so you can see the Henley better. In Croatoan (2x09), Dean wears one for the entire episode, except the very last scene when he and Sam are talking by the river. In Roadkill (2x16), Dean wears one from when they meet Molly until the end of the episode. In All Hell Breaks Loose Part 1 (2x21), Dean wears one for the entire episode. In All Hell Breaks Loose Part 2 (2x22), Dean is still wearing the same one from the previous episode, and only changes after Sam is resurrected. In Bedtime Stories (3x05), Dean is wearing one at the beginning of the episode while he and Sam are arguing in the car. In Malleus Maleficarum (3x09), Dean wears one for the final scene with Ruby. In Long Distance Call (3x14), Dean wears one once they are in their motel room after interviewing the widow of the first victim. He keeps it on until after “John” calls while Sam is sleeping. 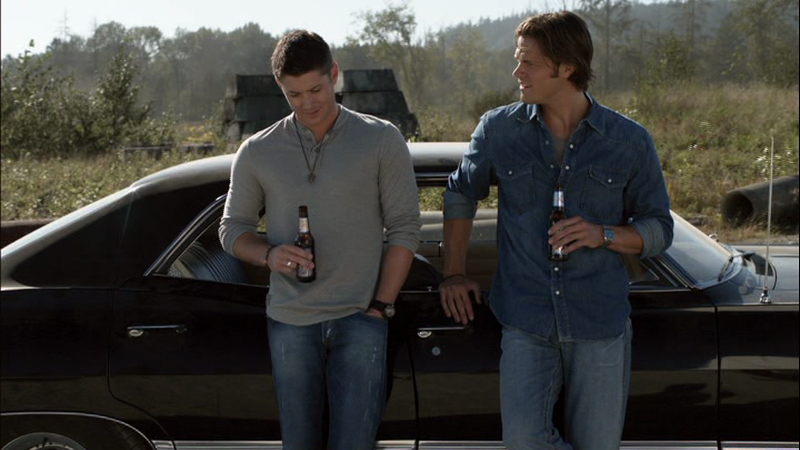 In Yellow Fever (4x06), Dean wears one at the end of the episode when they say goodbye to Bobby and enjoy a beer in the sun. In Jump The Shark (4x19), Dean wears one at Adam’s funeral pyre. In Changing Channels (5x08), Dean wears one when he and Sam bump into each other during the opening theme song. In The Real Ghostbusters (5x09), Dean wears a DARK grey Henley at the end of the episode when he says goodbye to the new friends he made at the convention. 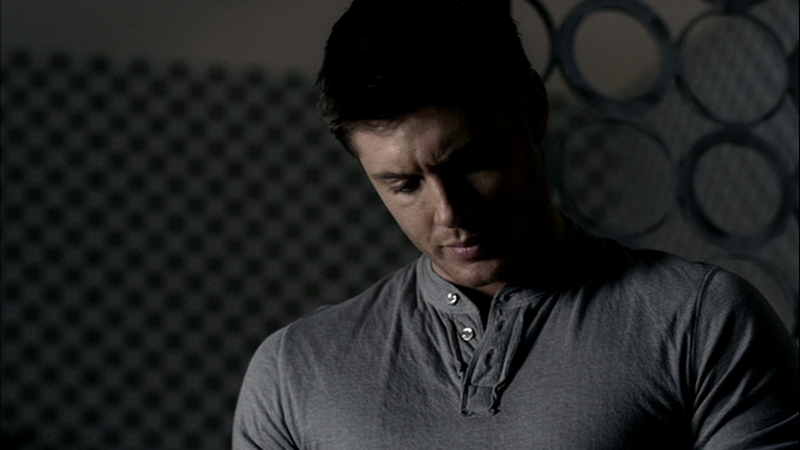 In Live Free or Twi-Hard (6x05), Dean wears a DARK grey Henley when he exits the bathroom at the end of the episode while Sam and Samuel are packing up until the end of the episode. In Like A Virgin (6x11), Dean wears a DARK grey Henley when he is admiring his gold at the end of the episode and Sam comes up to him for a chat. In The Man Who Would Be King (6x20), we see that Dean wore a grey Henley while raking leaves at Lisa’s house during his year there. In Adventures in Babysitting (7x11), Dean wears a dark grey Henley during the first two weeks after Bobby’s death. In We Need to Talk about Kevin (8x01), Dean wears a grey Henley when they leave Rufus’ cabin to travel to Wisconsin until, presumably, he eventually goes to sleep after talking with Sam in their motel room that evening. In Hunteri Heroici (8x08), Dean wears a grey Henley in the first scene with the Winchesters and Castiel, when they are at the Gas’nSip. In Trial and Error (8x14), Dean wears a grey Henley when he and Sam are in the bunker and when they go to see Kevin on Garth’s safe-houseboat. In Goodbye Stranger (8x17), Dean wears a dark grey Henley with visible stitching from after they rescue Meg until the end of the episode. 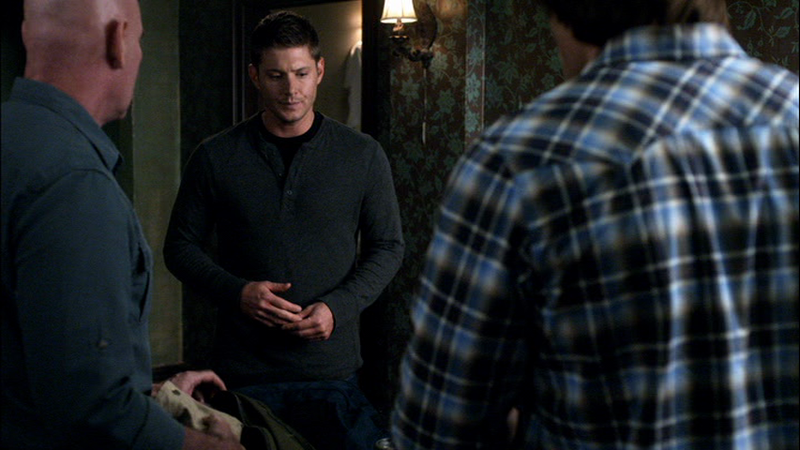 In The Great Escapist (8x21), Dean wears a dark grey Henley once Sam has recovered enough from his ice bath to lead Dean to Metatron’s room in the hotel. In Captives (9x14), Dean is wearing a dark grey Henley when the episode opens and he and Sam discover there’s a ghost in the Bunker. Both shirts Dean/Sam are wearing in the above pic are my absolute favorites I think they both look so hot in them and love watching this ep just to see them in these clothes..
What do you call them in Australia? does anyone know what brand this is? Not that I know of, sadly. Oh thanks! I'll check my notes. I may have put it down as being beige? It seems odd that I'd miss it out all together.